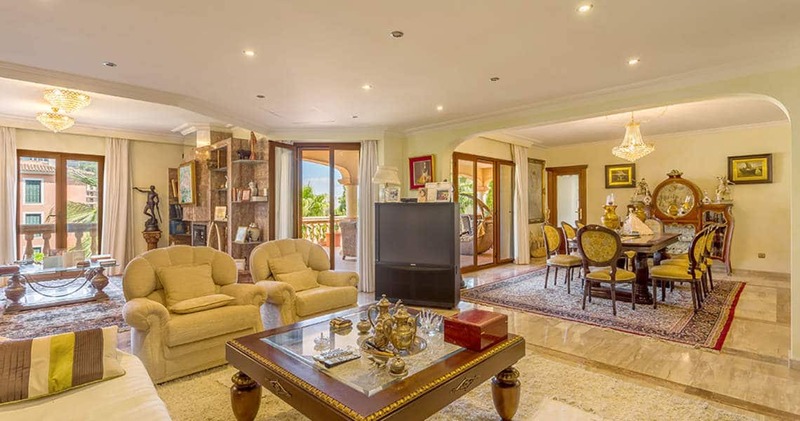 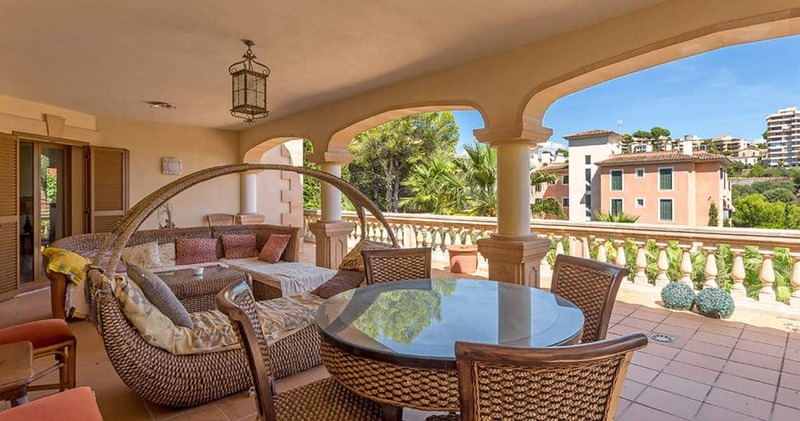 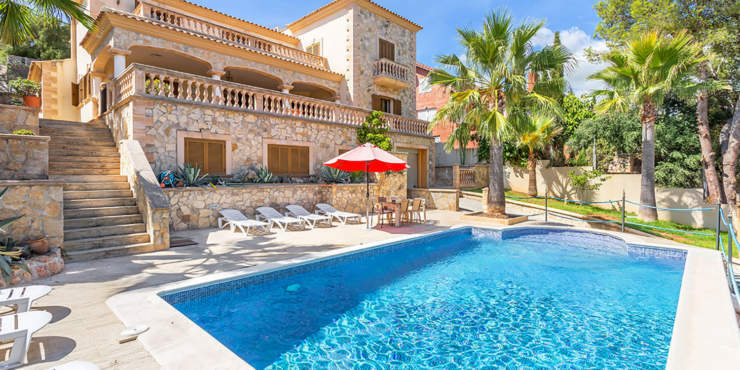 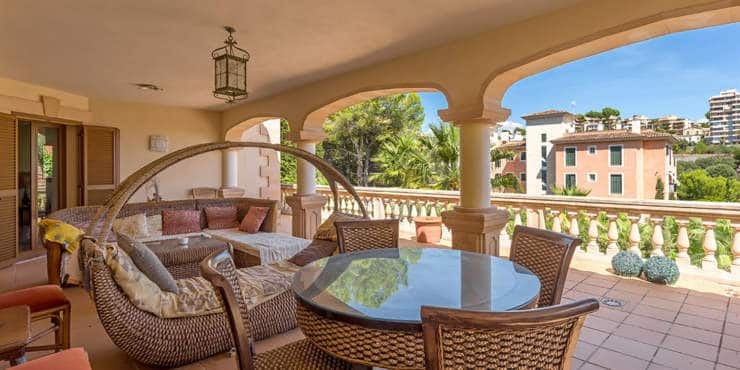 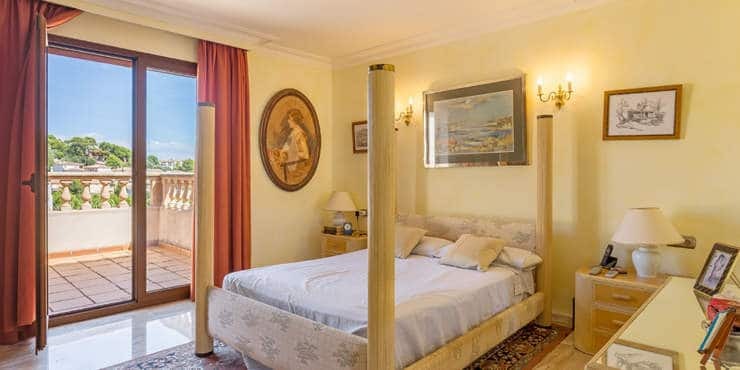 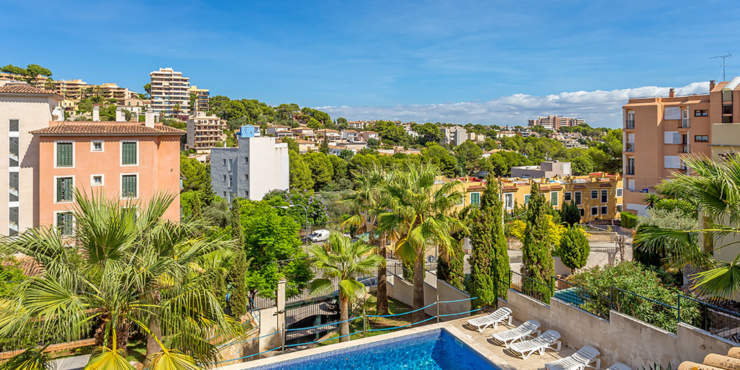 This three storey, Mediterranean villa sits on a hillside in the coastal resort of Cala Major on the outskirts of Palma, close to both the beach and the botanical gardens of the royal residence ‘Marivent’. 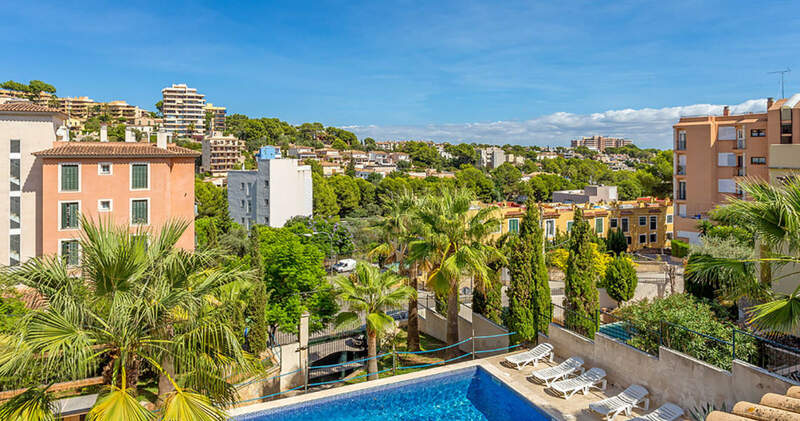 Porto Pi shopping centre, and various yacht marinas, as well as the city centre and the airport, are all within easy reach by car. 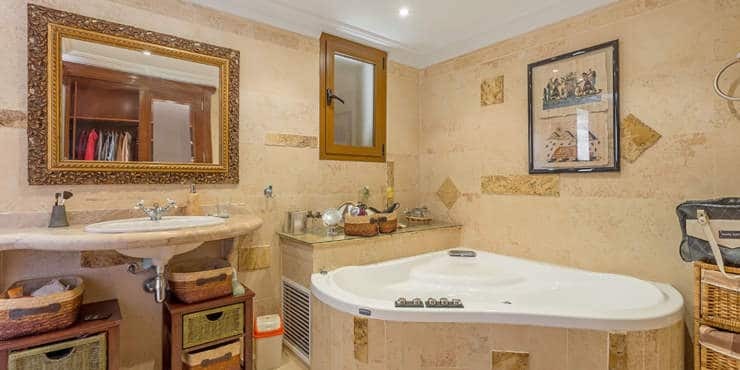 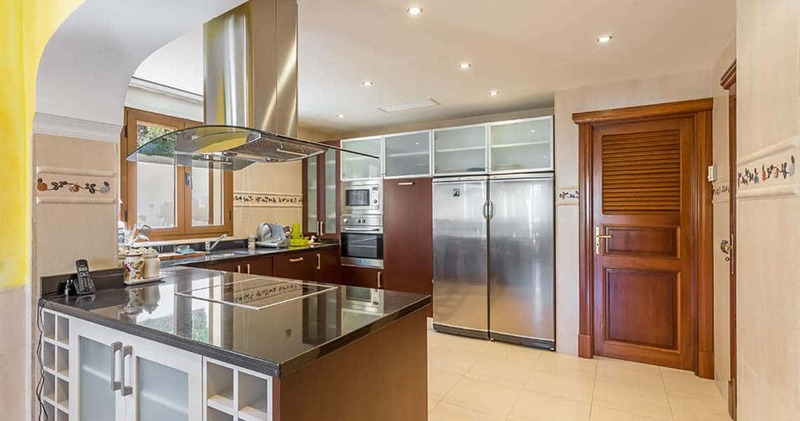 The ground floor of the natural stone property comprises a kitchen, dining room, two bedrooms, two bathrooms (one en suite) plus a guest toilet. 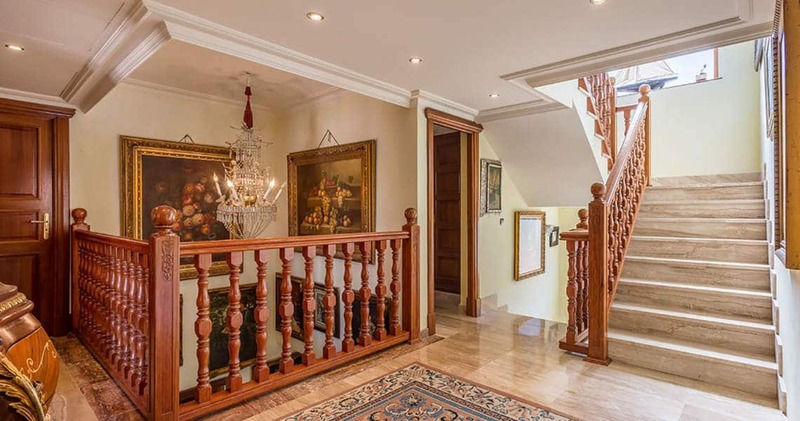 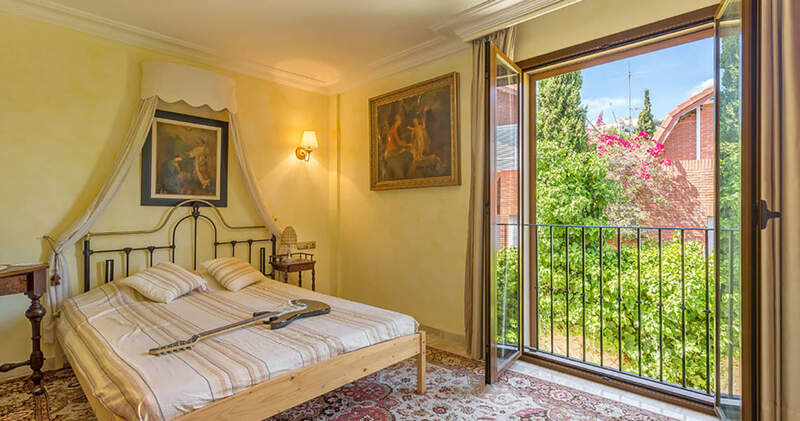 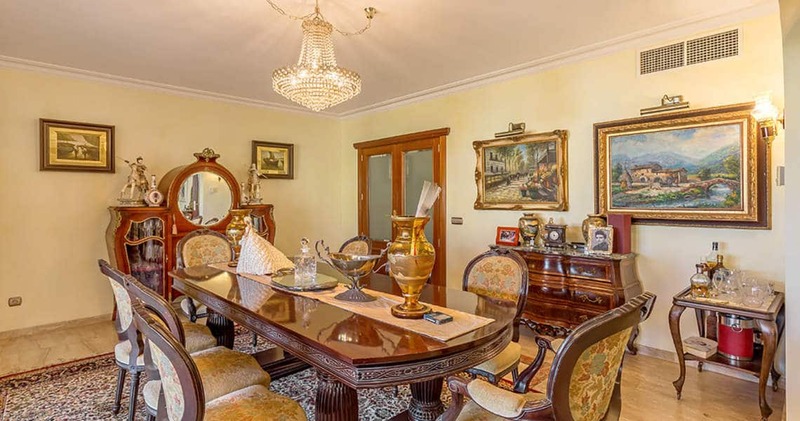 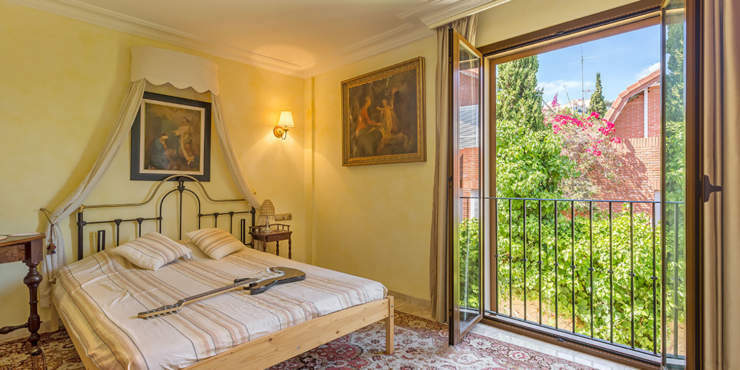 The entrance to the property is situated on the first floor which features a spacious living room with fireplace and access to a large covered terrace with traditional arches and an elegant balustrade. From here, an outside staircase leads down to the pool level with a spacious sunbathing terrace, sunbeds and barbecue area. 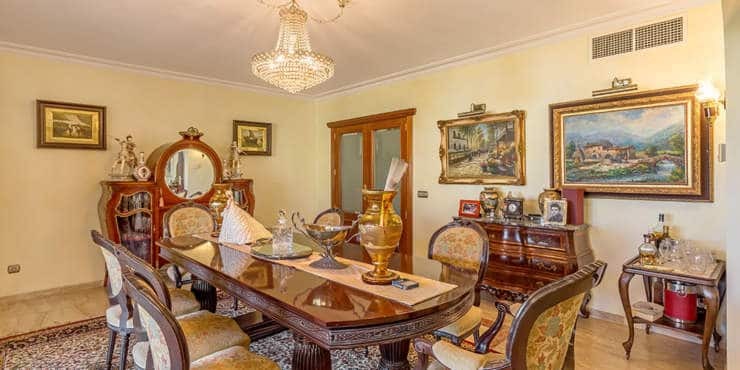 A dining room, kitchen/diner, second guest toilet and a utility room are also located on the first floor. The en suite master bedroom with dressing room and its own terrace, plus three further bedrooms, two bathrooms and two rooms that are used as home offices, are situated on the second floor. 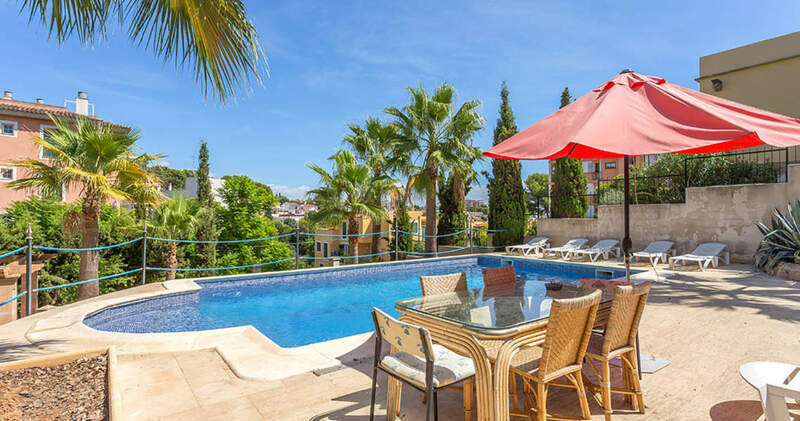 The tranquil surroundings and sunny roof terrace with views over the neighbouring rooftops plus a garage add the finishing touch.